4.5 Stars! Who's the real monster? History is filled with many fabulous stories that can skillfully be turned into fictional horror. The less we know, the fewer the survivors, the more horrific the actions of the participants, all the more readily we are to accept the involvement of evil. The Donner Party’s trek across America in 1846 wasn’t really all that long ago, not even 175 years. The events are fairly well-documented, the survival rate above fifty percent, not bad considering, but what those people had to do to survive…Katsu took this story and brought it to life. She delved into the nitty gritty details of life on the wagon train. The image that I think we all have is of the flat plains that roll across the country. I always forget that the most difficult part of this voyage would have been the Rocky Mountains. The true trials would have been during the last half of that voyage. Katsu played off of this, creating a monster to instill fear in all of us. I love how Katsu kept her casting to the historical records, it lends a certain plausibility/possibility to her story. She changed perspectives during the story so that her audience could get the full picture of events, a peek into everyone’s head. 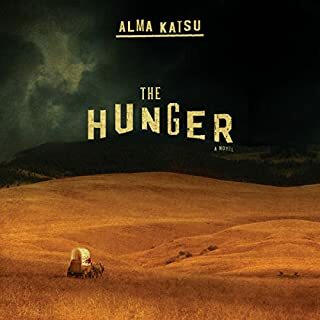 My experience of The Hunger was through the audiobook. I found that the narrator did an excellent job. Kirsten Potter enhanced the creepy factor to an already eerie story. Listening to The Hunger, I was constantly pulled back to the feeling that I had while reading The Terror. What’s funny (peculiar, not ha-ha) is that these two events are so similar while completely different and only a year apart. This was a time of exploration, when people thought they were masters of the world. Although, in both of these stories Mother Nature showed them who was really in charge – something she still likes to do from time to time. I love a story with a mysterious monster, make it biblical in nature and I am hooked. 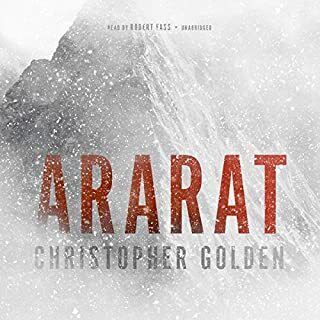 Ararat is one of those books I had been eyeing for a while before finally embarking on the voyage. I was looking for a quick little story to listen to on my Friday commute. I really didn’t want to start a full-length book and then let it sit over the weekend. An hour and a quarter trip back in time to meet Julius Caesar and Cleopatra seemed like just the thing. This was my first time-traveling adventure with the gang from St. Mary’s, and I have to admit, even though Roman Holiday is #3.5 in the series, I didn’t feel like I was out of the loop at all. I loved the snarky, sarcastic attitude of the protagonist, and Zara Ramm’s performance complimented this attitude perfectly. I had a lot of great chuckles as I listened. 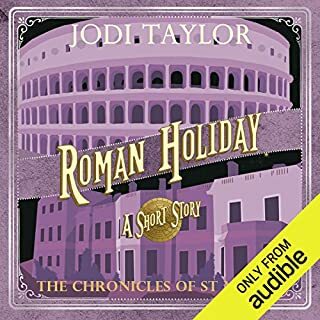 I have since added Jodi Taylor’s other books to my wish list and I’m looking forward to more historical/hilarious adventures with her. I’ll give Jodi Taylor this, she’s got a good thing going on with The Chronicles of St. Mary’s. I’ve grabbed a few of her shorts on Audible. They are great little distractions on my daily commute. 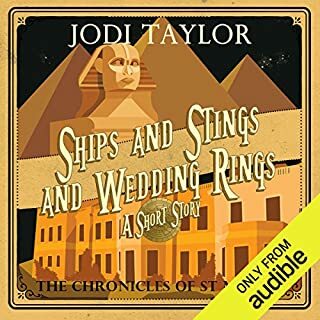 Ships and Stings and Wedding Rings takes its readers on a quick little holiday trip back to ancient Egypt. It is filled with what I am coming to know as Taylor’s trademark sarcastic humor. Let’s be honest, the story has to move quickly for an hour and a half, there really isn’t a whole lot of time to waste. What I really like about The Chronicles of St. Mary’s shorts is that I can just jump midway into the series without following the full-length books in the series. While it’s not a full-length, in depth story, Ships and Stings and Wedding Rings was fun and entertaining. Job done! Sometimes I’ll read a synopsis and get a specific idea in my head. This can be a good thing or a bad thing, but it’s the reality of what I do. 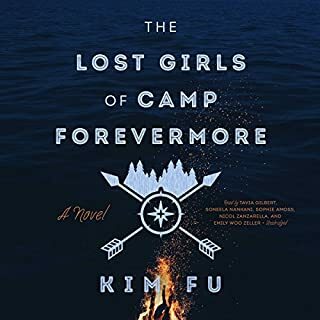 When I read the synopsis of The Lost Girls of Camp Forevermore, I thought: Awesome! This sounds like a West Coast, female version of The Troop meets Stand by Me (tell me that doesn’t sound fabulous). But when I got into the story I realized that wasn’t the case. I had to push my own reset button, get over my own disappointment and immerse myself in the story at hand. To me, Fu’s story came across as five stories, tied together by one tragic event. 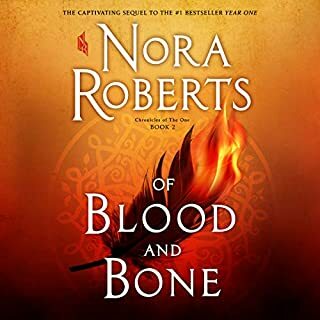 Each of these stories were intriguing and well presented in the audiobook, with a different narrator for each of the girls. I think that as a reader I do have to let go of where I thought the story was going to go and just enjoy the one that the author wants to tell me. In the end, I enjoyed the story. Fu gave me the story that I needed and not the one I expected. I really came to appreciate the coming of age story from the female perspective, something that seems to me to be lacking. Appropriately, this is going to be a strange one. 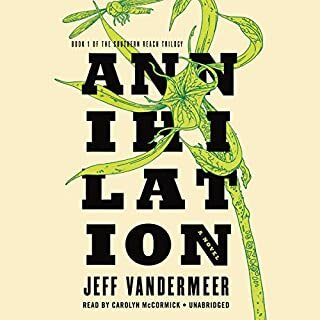 My Annihilation experience was perhaps as unusual as the story itself. 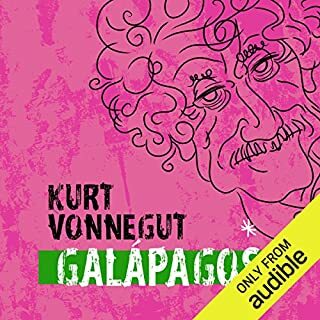 I grabbed the audiobook for this experience. I really wasn’t sure what to expect, I generally set my expectations high when the powers that be decide to turn the book into a movie. They are rarely ever able to duplicate the magic of a fantastic book, but the base is often a sure bet. No book by my favorite pink-haired author would be complete without cake. 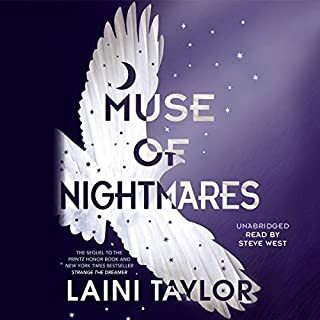 Yes, there is cake in Muse of Nightmares, and that is the last spoiler that you’re going to get from me. It’s always fun getting into the holiday season. 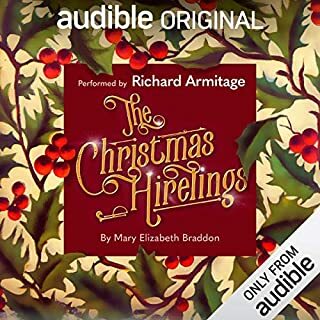 When I saw that The Christmas Hirelings was being offered for free on Audible, I thought that it would be a great addition to my holiday preparations. The Christmas Hirelings is set in Braddon’s contemporary period, circa mid to late eighteen hundreds. It is set in an aristocratic household and revolves around a preposterous idea. A group of people with more money than brains decide to hire some children to enhance their own merriment during the Christmas season. At first I was floored by the sheer arrogance that these people thought nothing of this idea, even going so far as discussing the temperament that these children must possess. As the story went on, the true intentions of the characters became evident. I saw early on where the story was going, but often the ride is more fun than the destination. Richard Armitage’s narration was fantastic. He really immersed himself into the characters, each one with their own particular lilt or accent. It felt more like a presentation than a simple narration of a story.